If you’re a gamer, you know the importance of having a fast connection. It can mean the difference of life and death in twitch shooters and can be a detriment to your team for all those DOTA 2 players out there. While wireless internet isn’t anything new, there are a few things worth knowing about your connection. Your router could be slowing you down and you don’t even know it! With WAP explained as a physical location converted into an electronic access point, this term is often used for describing wireless routers. Wireless routers serve as the physical device enabling the connection of various other devices to your home’s Internet network. A WAP enables sharing a network among multiple users, such as homes or office settings. The WAP has a wired connection to the modem, sending out a wireless signal that Wi-Fi-enabled devices recognize. Not all wireless routers are created equal in terms of speed, usually defined as megabits per second (Mbps). 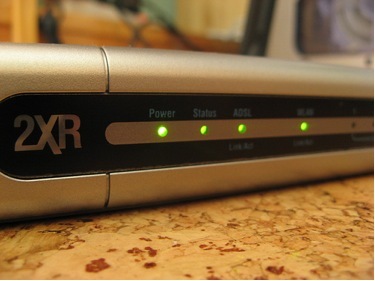 Early wireless routers offered speeds of about 11 Mbps, while most routers now commonly offer speeds of 54 Mbps. The newest and most advanced wireless routers have speeds of up to 450 Mbps. If you do a lot of gaming or streaming videos on your devices, faster is always better. However, the speed of a wireless router doesn’t actually speed up your Internet connection. Basically, your wireless router can only work as fast as your Internet speed, so forking out extra cash for a faster router isn’t worth it if your connection speed lags behind the maximum quoted speed for the device. If your online activities involve a lot of high-bandwidth tasks, such as gaming or streaming movies, a dual band router is better suited for your needs. With dual band routers, each device connects simultaneously at its preferred band. That means an ancient desktop and a latest-generation tablet both work seamlessly without one slowing down the other. Dual band routers operate at both 2.4 GHz and 5 GHz frequencies, and most devices released today support 5 GHz. Even if you password-protect your wireless network, security is an important consideration. Most users conduct personal business online, like paying credit card bills and even online banking. Wireless networks, by nature, expose the information sent across the network. That’s why hackers often sit outside public Wi-Fi hotspots, tapping into and hijacking users’ sessions for stealing personal data. Wireless routers offer varying levels of security, including WEP (Wired Equivalent Privacy), WPA (Wi-Fi Protected Access), and WPA2. Some routers also offer parental control capabilities, so you can block your kids’ access to certain websites and even retrieve logs of all the online activity through each connected device. WPA2 is the highest current security level available, so choose a device equipped with maximum security. The newest routers available advertise 802.11ac networking standards. Under ideal conditions, these routers offer 1 Gbps throughput in dual band routers, which is ideal for high-bandwidth activities like gaming. With a single band router, 11ac offers up to 500 Mbps; 802.11ac routers also offer better range than the old standard 802.11n routers. Wireless routers seem like a standard, one-size-fits-all purchase, but there are lots of variables and features. Choosing a router up to the latest networking standards and equipped with the highest speeds and privacy settings ensures maximum performance under your Internet service provider’s functionality.